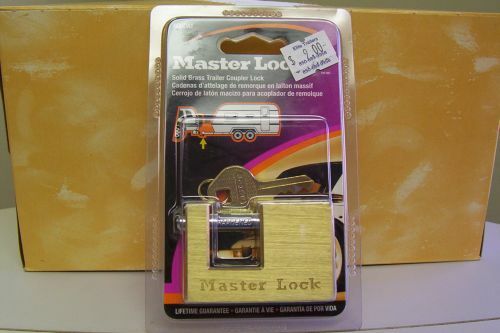 SOLID BRASS TRAILER COUPLER LOCK. SUGGESTED USES: TRAILER COUPLERS, TOOL BOXES, STORAGE LOCKERS. PROTECTED CASE-HARDENED STEEL SHACKLE RESISTS CUTTING AND SAWING. BUILT-IN ANTI-SAWING PIN FOE MAXIMUM PROTECTION. SOLID BRASS CASE FOR CORROSION RESISTANCE. PRECISION PIN TUMBLER MECHANISM FOR SUPERIOR PICK RESISTANCE.